Forty authors writing 66 books over a span of 2,000 years wrote under the inspiration of the Holy Spirit what we know today as the Bible. But is the Bible just a collection of moral stories or is it full of true, historical accounts? Come see how God’s Word stands up to the test of time, trials, and attacks. Get the biblical perspective on races and languages when you watch and listen to the account of the Tower of Babel. Where did the different cultures come from? How many races are there? 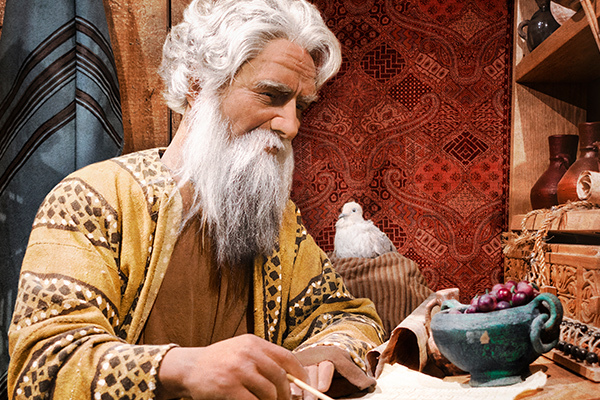 Explore a miniature Museum of the Bible where you’ll step into the Jewish world and analyze Scripture and objects of ritual from the Jewish perspective. 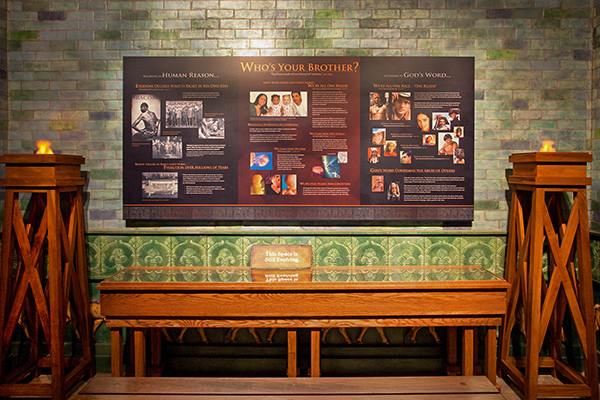 Gaze on the artifacts from around the world that are implements of prayer, grievance, celebration, and remembrance. The Bible gives us clues about how many years passed from one generation to the next or from one event to the next in history. Take a walk through the Bible timeline at the Creation Museum and see how God’s plan was revealed throughout time. The Bible says God created the universe, earth, and everything in them in six days. How do we know if that word day really means a literal 24-hour day? Can you believe in science and believe in a young earth?